My desire to comment at greater length on the recent purchase of the Old Dominion Brewing Company by Coastal Brewing, a partnership of A-B and the Fordham Brewing Company, is the real reason I started this Notebook. I’ve had a number of conversations over the last few months about Old Dominion’s future as various deals have come and gone. I’m writing about A-B’s efforts in the better beer segment and its effects on craft brewers in an upcoming issue of BeerAdvocate Magazine, where I write the Defending Beer column. But I wanted to expand on the Old Dominion matter specifically. The situation at Old Dominion is a complicated one. Old Dominion is a ‘sick brand’ as they say in the industry. The brewery’s production has languished in recent years despite record sales in the craft beer industry. The brewery has barely grown in the last five years and in 2006, Old Dominion’s beer sales were down more than 15-percent, with only contracted brands, such as Tupper’s and New River, enjoying growth. The situation would hardly be surprising if the beer was bad, but Old Dominion has long made a range of well-respected beers. One clear problem has been the omnipresent lack of leadership at the brewery. 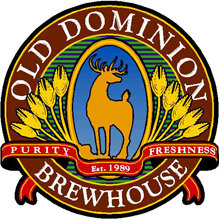 As early as 2001, Old Dominion’s principal owner, Jerry Bailey, made it known that the brewery was for sale. A number of craft industry players even received sales solicitation memos from Old Dominion. When no one matched his $15 million asking price, according to the Washington Post, Bailey removed Old Dominion from the market. During the next few years, the brewery continued to plod along on its unsuccessful path. Despite little regional competition and a defined home market, Old Dominion failed to grow. Even in the last six months, the brewery’s beers are nearly impossible to find in places that you would expect to see them. On a recent beer trip to Charlottesville, I found only a single restaurant carrying the beer and it was in the bottle. Writing in the Washington Post in 2006, Fritz Hahn noted that Old Dominion was largely absent even from the Washington DC marketplace. Problem is, the brewery’s distribution in Washington is often lacking. Outside of a few beer-centric bars that feature the deliciously smooth Oak Barrel Stout or high-octane Millennium Barleywine Ale, you’re lucky to find much beyond the aggressively hoppy Tuppers’ Hop Pocket Ale, the standard Dominion Ale or Dominion Lager, or maybe Victory Amber Lager. For the past decade, the easiest way to peruse the company’s offerings was to drive to Ashburn for dinner and drinks at the Old Dominion Brewpub, a sparsely decorated bar and dining room attached to the brewery. Fast-forward to 2006. Shortly after the Goose Island deal made headlines, word leaked out that the Old Dominion Brewing Company of Virginia had finally found a buyer. What followed was two failed attempts by an employee, Terry Fife, to purchase the brewery with his partner, Kip Olson. During 2006, A-B was also poking around Old Dominion at the behest of its local distributors. After the employee deals fell through, the Coastal Brewing partnership stepped in to negotiate a purchase with Jerry Bailey. In March 2007, the group confirmed the long-standing sale rumors. Coastal Brewing purchased Old Dominion for one-third of the original asking price, according to sources with knowledge of the terms of the sale. The A-B/Fordham partnership purchased Old Dominion for nearly $5 million, including an assumption of debt and moneys kept in escrow. Fordham, which runs the Ram’s Head pub chain, largely financed the deal, with A-B simply agreeing to cover the distribution angle. Under the partnership, A-B will own 49-percent of Old Dominion, with Fordham taking a 51-percent share. With the deal shrouded in secrecy, workers at the brewery and its attached pub were disappointed by news of the sale, which came in the form of Coastal’s application for a brewing license in Virginia. “The staff of Old Dominion has been kept largely in the dark about what to expect after the closing,�? says one employee who spoke on the condition of anonymity. “The only thing that I do know is that it won’t be good for those of us that have put their hearts and souls into Old Dominion for many years.�? So what happens now? Much of what follows remains speculation but there are two distinct areas of focus: short and long term. In the short term, things will remain largely the same minus a few notable changes. After the deal became public, the new owners fired three employees, including two brewers, Dave Hennessey and Greg Spradlin, and marketing director Terry Fife, the employee who tried unsuccessfuly to buy the brewery. The Ashburn brewery and pub will retain the Old Dominion name for now. The new owners, including Kyle Muehlhauser, held meetings last week with both the pub and brewery employees. Workers at the pub were told that the pub was closing for a two-week renovation period, effective immediately. Workers were not provided with any interim pay but were offered $10/hour to come in and help clean during the renovation period. When the pub reopens, with a full liquor license, it will also stock the full line of A-B products, including Budweiser and Bud Light. In the short-term, it is unclear whether the new owners will attempt to rebrand the Old Dominion pub as a new Ram’s Head Tavern. Privately, A-B and its partners have made clear that they plan to reduce Old Dominion’s portfolio of beers from nearly 30 offerings down to three to five beers. It remains unclear whether the brewery will continue to contract brew existing brands. The final long-term concern remains what will happen to Old Dominion’s physical space. While Fordham is a much smaller operation, brewing around 6000 barrels per year compared to nearly 27,000 for Old Dominion, the principals have discussed moving brewing operations to Fordham’s Dover brewery. One person with knowledge of the deal expects the partners will eventually move the brewing operations to the Dover brewery and close the Asbhurn operation. It is beyond question that Old Dominion needed new leadership in order to survive after years of inexplicably failing to grow. The issue becomes whether the A-B/Fordham partnership is the best way to right the ship without losing what Old Dominion’s remaining customers love about the place, namely its eclectic line of beers. This is the major area of concern cited by consumers who have emailed me about the deal. As one customer, Ron Kobus, told the Washington Post, “It would be a shame to see them shut down the brewery or change the recipes.�? The article will actually now appear in an upcoming issue of Beverage Magazine due to some calendaring problems. I’ll also have some additional information about the Old Dominion deal posted here soon.